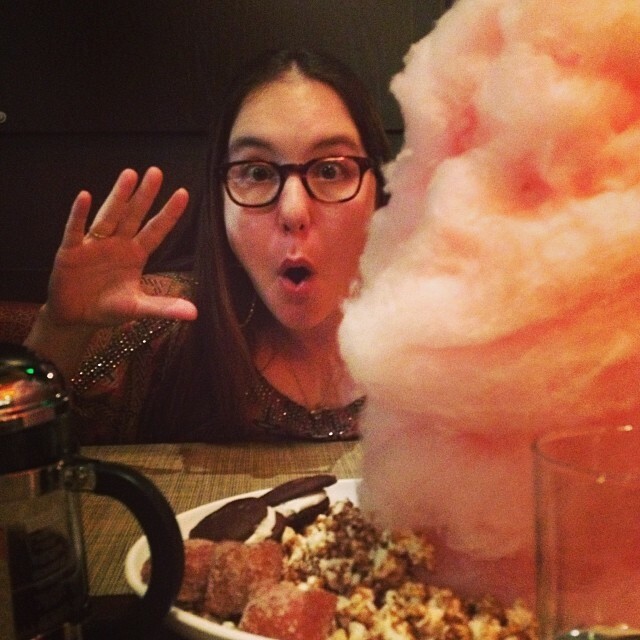 I love cotton candy. A lot. Truthfully, eating it just makes me feel like a kid again ... plus, the mind boggling amount of spun sugar I ingest while doing so is glorious. 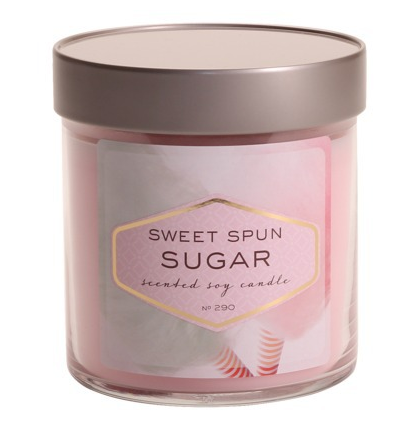 So when I discovered the Large Sweet Spun Sugar Scented Soy Candle on a recent shopping trip to Target, I simply had to invest in it immediately. First off, this candle smells EXACTLY like cotton candy ... so much so that I really have to force myself not to take a bite out of the wax! (So far, I've been successful.) But rather than smelling sickly sweet or fake, like so many cotton candy scented products do, this really does make you think of the sugary goodness. I'm actually quite surprised by how lifelike the scent really is!